we allready showed you our favourite christmas movies in this post. Today I want to share my favourite christmas movie outfits with you :) Allthough fashion of the 80ies is not so much my thing, I really love the crazy christmas sweaters they were wearing in the movies at that time. 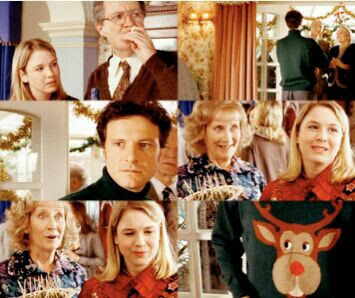 When I saw "Bridget Jones" for the first time I instantly felt in love with that cute reindeer-sweater from Marc. Here's a nice collage I found to bring it back into your mind. And here is my Bridget Jones movie outfit inspiration for you. You can find all details on my Polyvore profile.